Monday September 1st 2014 at 7:30 p.m.: Featured poets Ray McNiece and Mary Weems (two of Cleveland's finest) will read, followed by an open mic. 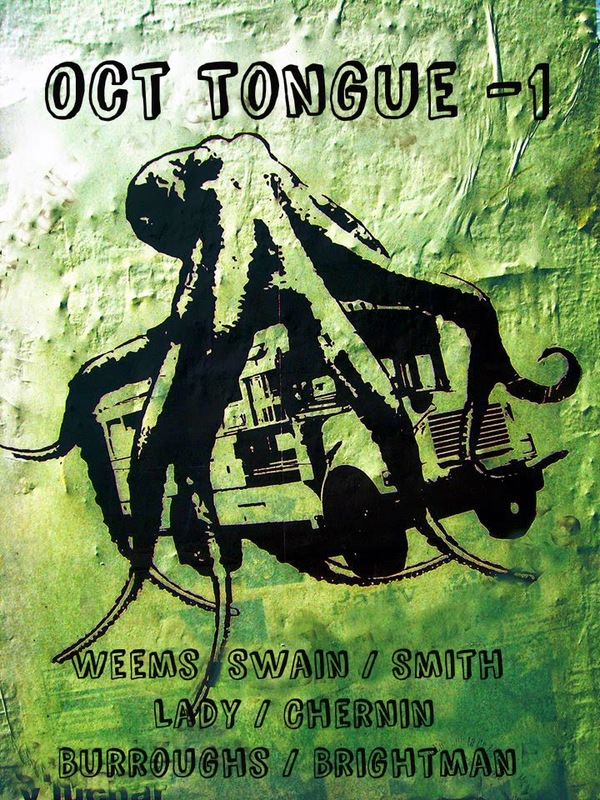 We'll still be celebrating the release of Oct Tongue -1, a collaborative book by Mary Weems, John Swain, Steven Smith, Lady, Shelley Chernin, John Burroughs and Steve Brightman. Monday October 6th 2014 at 7:30 p.m.: The official book release for the third annual Lipsmack anthology, published by NightBallet Press, will feature contributors including Jennifer Hambrick (Columbus), Andy Roberts (Columbus), Jason Baldinger (Pittsburgh), Jason Irwin (Pittsburgh) and Dan Smith (Cleveland), followed by an open mic. Monday November 3rd 2014 at 7:30 p.m.: We'll feature the group Writer’s Root (whose authors include Lauren Parsons, Margaret Hnat, Amy Bue, Regina Geither, Kay Cosgriff and Elise Geither - all of northeast Ohio), followed by an open mic. Crisis Chronicles Press plans to release poet/playwright Elise Geither's new chapbook at this event. Monday December 1st 2014 at 7:30 p.m.: Featured poets will be Joey Nicoletti (Buffalo, NY), Juliet Cook (Medina, OH) and Baraka Noel (Wheaton, MD), followed by an open mic. John Burroughs will be your emcee for these four events. Stay tuned for more great lit performances - and more than a few fab surprises - in 2015. Here's just one: Ray McNiece will be our special guest host in February, April, June and September. Please join us the first Monday of every month at Mahall's 20 Lanes, 13200 Madison Avenue in Lakewood, Ohio. Join Cleveland's Crisis Chronicles Press Wednesday 27 August 2014 (7 pm) at Mac's Backs for the official release of Oct Tongue -1, a collaborative book by Mary Weems, John Swain, Steven Smith, Lady [Kathy Smith], Shelley Chernin, John Burroughs and Steve Brightman. Oct Tongue -1 is perfect bound, over 300 pages and like seven 31-poem chapbooks in one. Six of its seven authors will be reading at this special event. Belt magazine presents: The Faces of Downtown Cleveland. 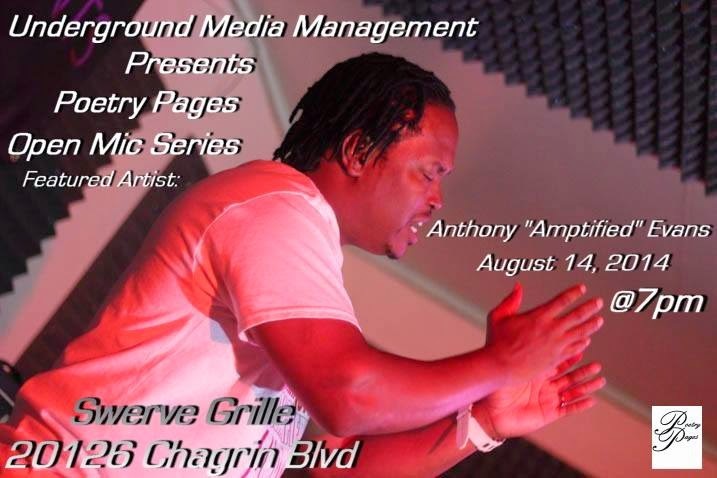 The Poetry Pages Open Mic Series happens the second Thursday of each month at Swerve Grille, 20126 Chagrin Blvd. in Shaker Heights. For updates, please join the Poetry Pages group on Facebook.